"I liked the concept of having “a healthy relationship with food” but didn’t really “get it” before I joined Rebooted Body. It’s been 30 days and now I’m starting to FEEL what that phrase means and it’s completely liberating. Oh, and I know this isn’t a weight loss program but I dropped 9 pounds as well. Bonus!" "Easily the most insightful and effective process I’ve ever done. Without a doubt, what I learned from Rebooted Body is going help me for the rest of my life. 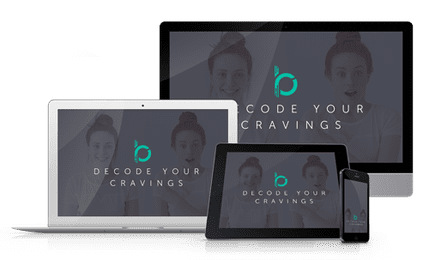 So far, I’ve completed Decode Your Cravings. I can’t wait to start Total Body Reboot next! Thank you, thank you!"